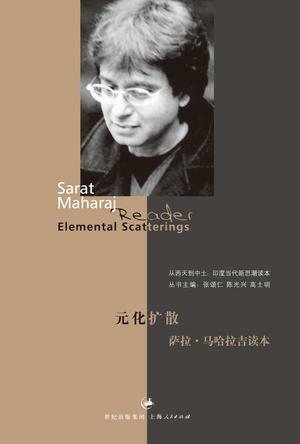 Sarat Maharaj was born and educated in South Africa during the Apartheid years. Professor of History & Theory of Art at Goldsmiths, London 1980-2005, where he is now Visiting Research Professor, he is currently Professor of Visual Art & Knowledge Systems, Lund University & the Malmo Art Academies, Sweden. He was co-curator of Documenta X1 (Kassel. 2002). With Richard Hamilton and Ecke Bonk, he curated “Retinal. Optical. Visual. Conceptual on Marcel Duchamp” (Boijmans Van Beuningen, Rotterdam, 2002). With Gao Shiming and Johnson Chang he was co-curator of “Farewell to Postcolonialism”, Guangzhou Triennial, 2008. He was editor/curator: Printed Projects 11 (Dublin) “Querying the GT 2008” at the Republic of Ireland/Northern Ireland Pavilion, Venice Biennale, 2009. He is co-curator of the San Paolo Biennale, “Knowledge and Politics of Art”, 2010. “Small change of the universal”: beyond modernity?